This year i had the privilege of spending the day on the water with Bob Redfern Outdoors while filming an episode for the Pursuit Channel. 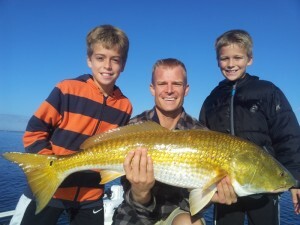 With the Bull Redfish in full swing Bob and his crew arrived in Perdido Key for a day packed full of rod bending, drag screaming action. Our morning could not have started any better thanks to the Blue Angels practicing right over our heads as we started our search for the massive schools of fish that spawn in our local bays each year. 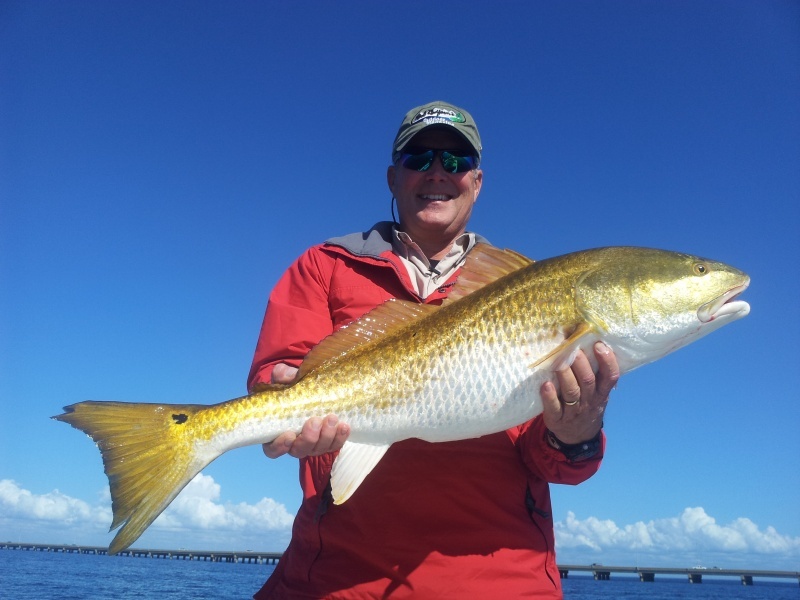 After a little searching we located the fish busting on the surface and soon Bob realized why Perdido Key is quickly becoming one of the hottest Redfish destinations on the gulf coast for many anglers. Nothing beats catching 35″-45″ fish on light tackle. If you would like to learm more about the best time of year to see thousands of these giants all around the boat and being landed on light tackle or Fly give me a call to book your trip of a lifetime. The picture at the top is from an earlier trip this year with Lt Commander Nate Barton pilot for the Blue Angels and his two boys Connor and Cooper. Below is Bob Redfern with one of his trophy Redfish landed during our filming.